What are you made of? Find out by completing a body composition assessment at Central Athlete. Body Composition: A method of describing what the body is made of, including fat, protein, minerals and body water. Knowing your body composition is the first step towards improving it. Having a better body composition can aid you immensely in understanding your weight, improving your overall health, and generally living a fuller, happier life. 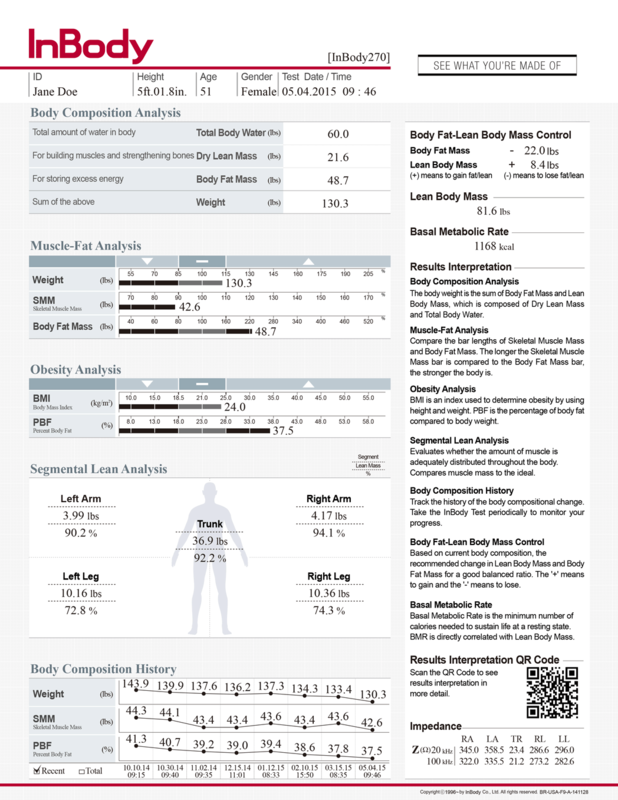 By analyzing your body composition, you can keep track of your results over time. This is an easy method for auditing your training program. If your main goal is to improve body composition, then you SHOULD start to see results that show progress towards that. Body composition testing provides measurable and repeatable data that is tracked to ensure consistency. Fat Mass: The stuff you want to get rid of. Body Water: Your body is made up of mostly water (fat, muscle, blood and other bodily fluids) Find out your hydration status and see if you are adequately hydrated. Protein: Protein contained in your body’s muscles. Minerals: Primarily contained in two places (blood stream and inside bone). Dry Lean Mass: Combination of the weight attributed to protein and bone mineral. Lean Body Mass: Combination of your Dry Lean Mass plus body water. Skeletal Muscle Mass: The muscles that are connected to your bones and allow movement. Bioelectric Impedance Analysis (BIA) works by sending a small electrical current into a person and measuring the opposition of that current (impedance) as it travels throughout the body’s water. 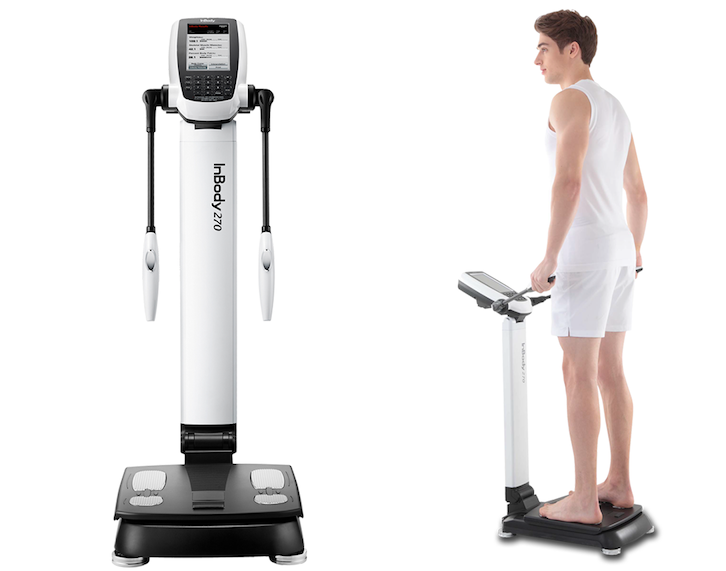 Once impedance is measured, body composition is ascertained. No dunking. No pinching. No discomfort. Simply stand on the device and hold the hand electrodes to test. -Take the test at the same time each time. For females: make sure it is at the same during each month and not during your menstrual cycle.